Hypermetropia is a condition related to vision. It is also known as far sightedness or long sighted. In this condition, the light do not bend properly and as a result the light reflects and focus on a point behind retina due to which, the patient feel problem in near vision but can see clearly distant objects. This condition causes strain on the eye muscles. There are three main types of Hypermetropia i.e. congenital Hypermetropia, simple Hypermetropia and acquired Hypermetropia. The congenital Hypermetropia is by birth and the simple one is the continuation of the congenital without change and acquired Hypermetropia is acquired from the environment. Hypermetropia is a condition related to vision. The patient cannot see clearly near placed objects but can see clear distinct objects. At early age, there may be no symptoms appearing but at adulthood, the symptoms start appearing. The common symptoms associated are burning of eyes during work specially computer work. The patient feel headache and strain on the eye muscles which may become severe with time. The eyes get red and the pain started especially at night time due to the illuminated lights. Dry eyes and the patient may feel itching due to dryness. There are three types of Hypermetropia that have different causes behind them. The congenital Hypermetropia is by birth in the baby and is inherited from parents. Simple Hypermetropia is the most commonly seen type. It is the continuation of congenital Hypermetropia without any change. There may be many factors behind it like shorter eye and a forward placed lens. With the passage of time, the length of eyeball increases in simple Hypermetropia. Acquired Hypermetropia is caused by the removal of crystalline lens which happens after cataract surgery. It can also occur due to an injury internal or external. The placement of artificial lens in cataract may also lead to Hypermetropia. There are many treatment options regarding Hypermetropia. The cheapest, safest and the easiest way of treating Hypermetropia is wearing glasses. Convex lenses are used, also known as plus lenses, to correct the bending of light and to make it focus on exact point. The other option is to wear contact lenses. 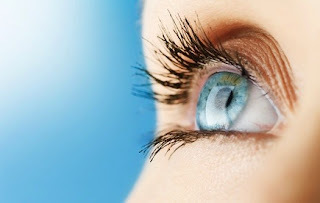 Contact lenses are the modified form of glasses but are comparatively expensive than glasses. Surgery is the treatment option which is recommended when the glasses and contact lenses do not cause any recovery. The common surgeries are LASIK, PRK and LASEK. There are many methods of correcting Hypermetropia without surgery. The plus lens also known as convex lenses are used to correct the long sightedness. This lens correct the bending of light and to make it focus on exact point. The selection of the plus lens is important as the excess eye sight number of lens can lead to many problems and may also do not correct the existing problem. The simple Hypermetropia or long sightedness should be detected at an early stage because the late detection will lead to many problems and the correction becomes complicated.